Daryl Urbanski is known worldwide as a highly effective business coach who helps businesses to grow using automation. He has the ability to create 7 figure automated income streams for many businesses and is the founder of bestbusinesscoach.ca. Daryl helps businesses to cut out human error and free up more time through using automated systems, as well as using tools to maintain and develop relationships with existing customers. 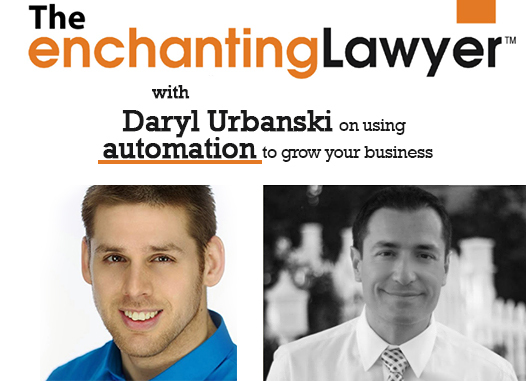 In today`s show, Daryl tells us about how automated systems can boost your business and how to get started with it. Are you a business owner who spends all of their time doing, and not enough time reviewing? If so, you need to speak to Daryl Urbanski. 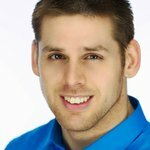 He is the founder of bestbusinesscoach.ca, and helps businesses grow by using automation. He is well respected by thousands of businesses worldwide and has a goal of creating 200 new multimillionaire business owners. In today`s show, Daryl talks to Jacob about how value automation can be in reducing human error, replicating the best sales people and nurturing customers so that they always come back to you. Jacob: Hello everybody, this is Jacob Sapochnick, the Enchanting Lawyer podcast. This is a show where we interview the most inspiring entrepreneurs and business owners who share their ideas and success with us to make us better at what we do. Today we have a guest all the way from Canada who’s living right now in Southern California, we have Daryl Urbanski. Daryl is the founder and president of BestBusinessCoach.ca and is best known for his ability to create seven-figure automated income streams from scratch. He’s Canadian turned Southern Californian. He has quickly climbed the entrepreneurial ladder, gaining respect from thousands of small business owners worldwide. Daryl, welcome to the show. I’m very happy that you’re here. Daryl: Yeah, it’s an honor to be invited. I’m good. Jacob: Daryl, I gave a little intro about you but why don’t you tell our listeners more about yourself and what got you here and why did you get into this area. Daryl: Well, I think a lot of people, they probably come from same roots in the sense of, you know, I kind of always knew I wanted to get involved in business in which you perform. I played around with a lot of different things when I was younger; from shoveling driveways up in Canada and mowing lawns and babysitting and paper routes, a number of different things. I’ve done a lot of different models including franchise model, the freelance model which is very similar with self-employed. It’s just like every iteration. You just get a little bit smarter, a little bit wiser. A few years back, I really got into marketing and automation at a deep, deep level to where I had a martial arts school where pretty much everything was automated.